Raub is a small town located in the western side of Pahang. The town blossomed in the 18th Century when gold mining activities were robust. 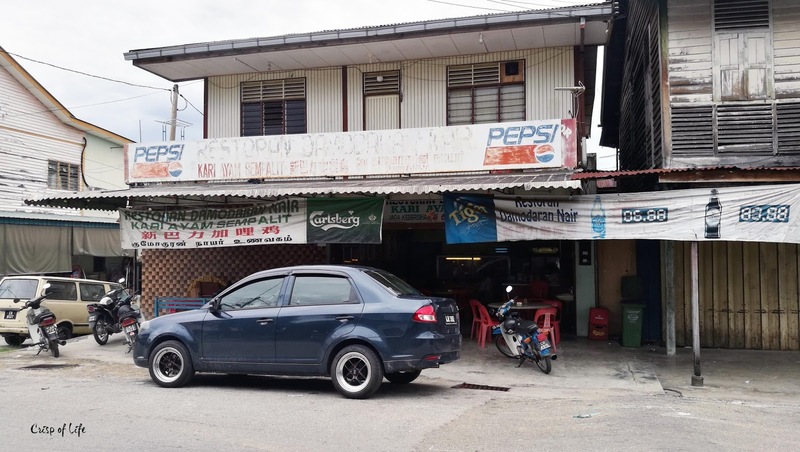 Ever since the mining activities decelerates, agriculture activities predominant in this small town, with Raub is well known for producing the finest Durians, alongside with some local fruits, rubber, cocoa and oil palm. On top of that, the close proximity of Raub to Kuala Lumpur (approximately 110km) also provide the urban folks a getaway from the city life. 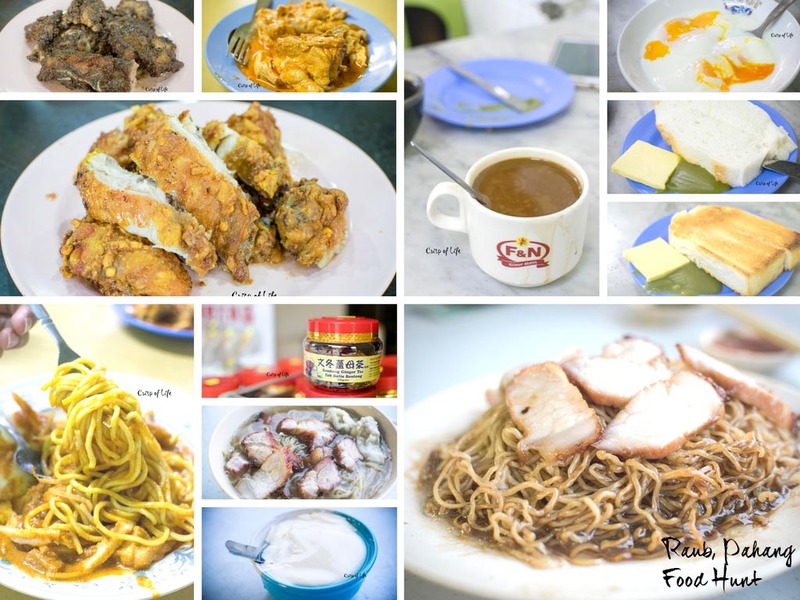 Though relatively a small town, the folks here are blessed with abundance of specialty dishes, and we were in Raub for half a day for a food hunt. 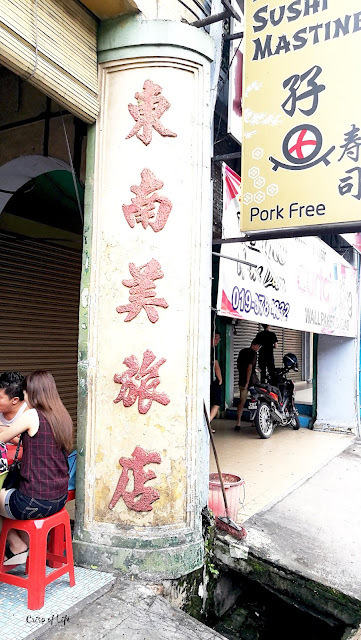 Poh Kee Wantan Mee is one of the Raub folks' favourite because the boss' insistence on using own made al dente noodles. It is available in both soup and dry version, and our preference stays with the dried version as the crispiness of char siew still well retained and not dampened by the soup. The dark soy sauce drenching the noodles were not something spectacular that we would scream about. The boss deserves credits for not being sloppy with their wantan. It is well packed and rich in ingredients, and well justified the dishes' name wantan mee. Priced at RM 4.80 per bowl, it is a decent choice for breakfast after a morning exercise at neighboring park. Beware though as the queue might pile up when the sun rises. Not to miss out the Taufu Fah (Soy Custard) in the neighboring stall when you are here. The silky smooth texture with a light scent of local grown ginger is a great choice for a perfect start of the day. 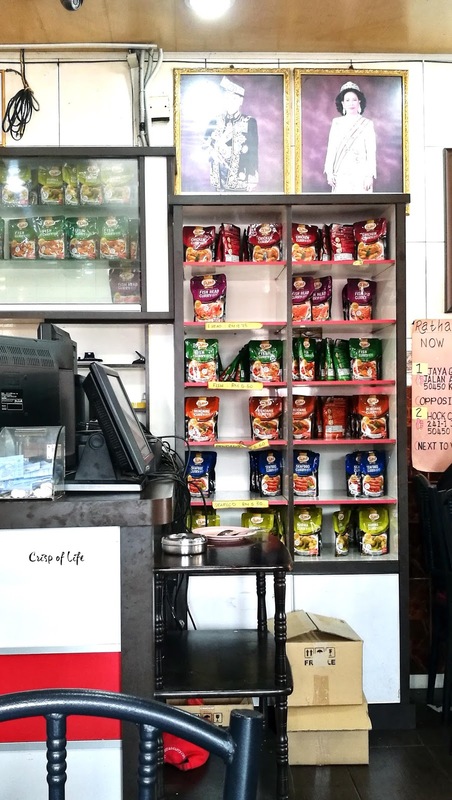 The traditional and no-frills Hainanese coffee shop is still the way it looks like years ago. Its archaic interior and settings served more of memory than food to many senior folks in Raub. Previously, they used to serve Hainanese styled western food but now only limited to scrambled eggs, toast, coffee and tea. Their homemade kaya is made from the freshly plucked pandan leaves. Coupled with the fluffy steamed bread and a spread of butter, there is no where else in the world you could find such identical taste. The coffee shop now has a noodle stall selling assortment of noodles such as Pan Mee, curry noodles and etc. We sampled the 麻切面 (Pan Mee) and it was mediocre. Those prefer a slight salty taste definitely would like it. The exotic curries formulated by Mr. and Mrs. Rathakrishnan has rose to popularity since its inception in 1980s in Raub. The business has since expanded rapidly to Genting Highlands and a few places in Klang Valley, and even graced by local politicians, Sultan of Pahang and Sultan of Brunei. 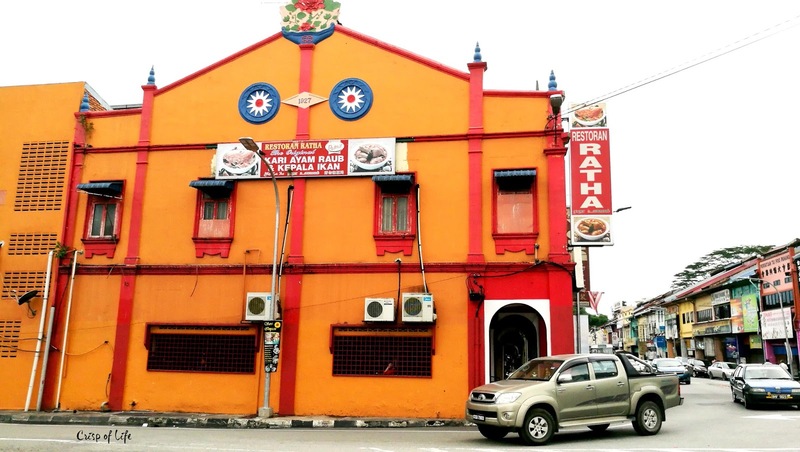 It is not hard to locate the restaurant at Raub town, as it was prominent with its sharp orange colour paint at the corner lot of Raub main shop lots. The must try at Ratha Curry house is their curry fish head, followed by their other renowned dishes. However we did not have chance to sample their curry fish head as we have limited stomach. Nevertheless, their spectacular grilled lamb was a blast. Well marinated with spices to a complex yet delicate taste, the tender meat also possessed a significant proportion of fatty meat for the bliss of carnivorous individuals. Not to miss out the fried chicken and rendang chicken here as well. The curries was special in a way that it exhibits a hint of saltiness and strong coconut milk taste. If you would like something light for the day, just drop by here for their flaky roti canai. Nowadays Ratha curry have gone commercialized that they even have packed curry paste for sales. Available for sales in few flavours, you may just grab them at the shell to prepare your very own dish with the delicious curries at home! It appears that Raub is renowned of producing assortment of curries. Perhaps the better way to correlate Kari Ayam Sempalit, a restaurant that has history dated back to 1951 at Kampung Sempalit, the chinese village at Raub would be their branch restaurant at Lucky Garden, Bangsar - KariGuys (has since ceased operation). KariGuys and Kari Ayam Sempalit are of same descendants - Mr. Damodaran Nair, whom is a cook for the British settlers in the village of Pintu Padang (Raub). Due to the relocation to Kampung Sempalit, he created a curry that would appeal to the Chinese community - Kari Ayam Sempalit. We were not trying to let down the fans of Kari Ayam Sempalit but the curry chicken here tasted just above average for us and somehow lack the wow factors. It was not of the fiery spicy type, nor it was racy with the spices. Nevertheless, the chicken was tender soft. Anyhow, the Sempalit Mee Rojak here is a must order and worth the efforts to fill our 90% full stomach. The gravies were made of finely grinded peanuts, and smooth to the throat like a peanut smooth without the chunky peanut granules. Kacang Goreng Sempalit is a local produce in Raub that had its fame across Malaysia. While many went to Kebun Sea Loy to buy there, we went for Kacang Goreng Sempalit Sin Loong at Jalan Simpang Kallang. Over here, we witnessed how the peanuts were charcoal burnt, then sampled a few of it to try. Bentong ginger tea and tongkat ali are available for sales here too. Of course, the delicacies worth trying in Raub is not limited to the list. In fact, we went to Big Big Bowl (大大碗) for their curry noodles but it was sold out. Then we also sampled pastries from Kim Fah Tea House (锦华茶室）but did not manage to take a picture due to short term memory lost when hunger strikes. Nonetheless, Raub is worth a second visit again to complete our gastronomy journey.